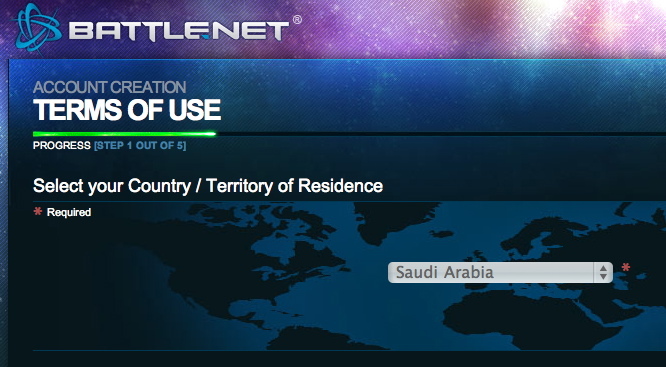 Hey Blizzard, you have customers in the Middle East! This is frustrating for Blizzard customers in Saudi Arabia. I’ve been a World of Warcraft subscriber for a few years and now I want to buy the Authenticator from the Blizzard store but I can’t because they do not ship to Saudi Arabia. Seriously Blizzard?? You can ship to India (and others listed on their site) but nothing for customers in the Middle East? And don’t get me started on Starcraft 2, if I wanted to play at crap lag I need to play on EU servers and buy the EU game and if I want to play with people I know in the US (and crappier lag) I need to pay AGAIN. Seriously? What part of INTERNET do you not get Blizzard? You need to hurry up, the offer will end in about 31 hours! Steam is having a huge sale on their games! Torchlight is half priced at $9.99, GTA 4 for $7.50, Mirror’s Edge for $4.99 and many many more! Visit the official Steam promotion page here. Steam Game Sales monitors sales on Steam as well. This is a great time to buy original games instead of pirating them. Software piracy is high in Saudi Arabia so it’s a good opportunity to spend money on these games and support the developers. You might need to change your billing address to an Aramex or myUS address. The second Sony PlayStation Gamers Day in Saudi Arabia will be held between October 21st to 23rd in Riyadh. You can register to attend the event here. Via True Gaming. You can find more info from the first PlayStation Gamers Day at this page. Quick FYI: I have given the @saudigamer Twitter account to @dubayan who currently have SaudiGamer.com podcast. 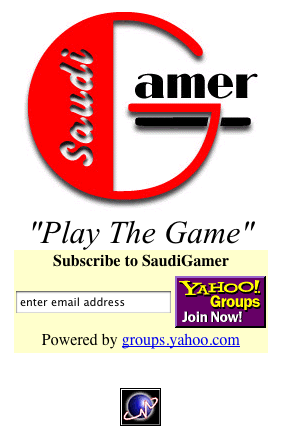 Saudigamer.me will still take you to this section of my site. * BlizzCon 2009-exclusive World of Warcraft in-game pet, Grunty the Murloc Marine. Hey, A little Murloc Marine never hurts! BlizzCon 2009 live stream will be aired August 21-22, 2009 and you can find more information about it from Blizzard’s site. SaudiGamer: 2001-2005. You thought it’s over? But it’s not. SaudiGamer.me.com is back and one letter shorter! Wii will support using an SD card to store games. Final Fantasy games for the Wiiware. As we said before, Nintendo is still ignoring the Saudi Arabia market with their DS and Wii. Most of the devices sold here are gray market and have no warranty. Make sure to check WiiPod, one of the best Arabic blogs about the Nintendo Wii! Too bad Nintendo isn’t interested in the Middle East. If you are playing World of Warcraft, a classic Blizzard game or planning on buying any of the new Blizzard games (Diablo 3, Starcraft 2). Then make sure you are registered on Battle.net. You can “merge” your World of Warcraft accounts with it as well. Unfortunatly it is restricted to American World of Warcraft accounts. European are “Coming Soon! The World of Warcraft account merge process is not yet available in your region”. Nintendo documents the worst countries in the world in terms of rampant Nintendo game piracy every year. And send the report the US trade representative. The countries include China, Korea, Brazil, Mexico, Spain and Paraguay. Pirated copies are sold openly everywhere. Businesses engaged in the sale of legitimate video game product are severely undermined by the ready availability of pirated game product in the market. Licensees report that there is a marked contrast between sales of entertainment software for platforms that have been hacked and those platforms that, to date, remain impervious to hacking attempts. Hacked platforms include the Nintendo Wii and the Microsoft Xbox 360. Almost every Nintendo Wii sold in Saudi Arabia already includes a mod chip that allows you to play pirated Wii games. They are sold for usually 10-30SR ($3-8). “So we only can recommend you to inform you in the shops which sell video games” That didn’t even make sense! The high amount of Nintendo Wii/DS piracy in Saudi Arabia is Nintendo’s fault! The lack of an official Nintendo distributor in Saudi Arabia is only supporting the gray market and is not good for Nintendo! Go ahead to Nintendo’s Anti-Piracy site and contact them. Or just send an email to piracyscene@noa.nintendo.com and tell them that their lack of official distributors in Saudi Arabia is not helping them. Valve and Square Enix announced a partnership to bring Square Enix games to the PC using the Steam service. It will start with The Last Remnant on 9 April 2009. Many gamers in Saudi Arabia are Square Enix fans so I thought I would share this piece of news.